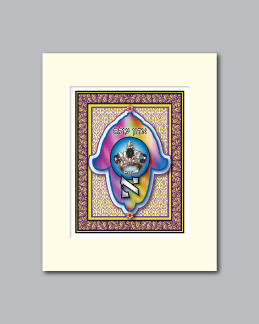 The Chamsa Series :: "Chamsa Aleph"
The inspiration for “Chamsa Aleph” comes from the multi-dimensional aspects of the letters in the Hebrew alphabet. They are literal, numerical, symbolic and spiritual in nature. This piece is an exploration of the Aleph’s many faces. 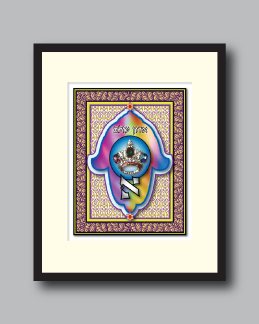 In the Hebrew alphabet the “Aleph” holds the value of one. As such, it is a tangible symbol of G-d as the Creator and Master of the Universe or “Adon Olam” (אדון עולם). 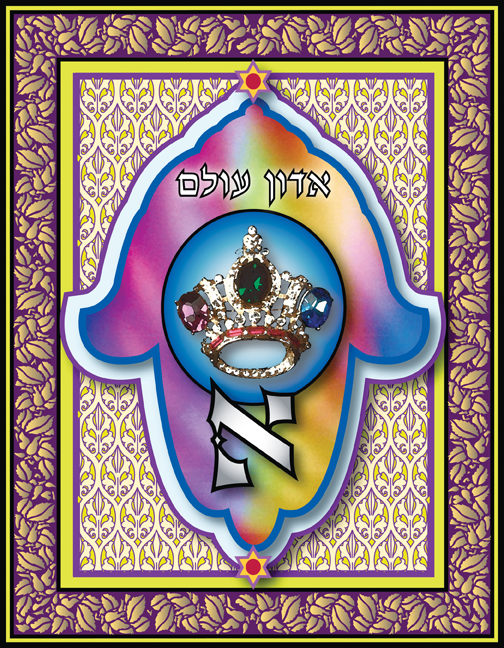 In recognition of the prime position “aleph” holds, it is said that the Creator attached “crowns” to its points.